Book a 4-night package and get a $40 express deals coupon. This promotion is valid until March 31st, for travel before April 30th. Receipt of coupon upon completion of your trip. Book a hotel stay costing $300 or more (before taxes and fees) and receive a $30 express deals coupon. Click for full details of this offer. Book a $100 stay at a hotel through Priceline.com and get a $10 off express deal. Take $75 Off Vacation Packages to Popular Destinations like Hawaii and Mexico! Right now you can get $75 cash back when you book a qualifying vacation on Priceline.com. No promo code required. Click to view all the vacation packages included in this cash back offer. Save up to $625 when booking a vacation package! Bundling your hotel, flight, rentals, and any tickets together into one package from Priceline nets big savings! Take 25% off when you stay 4 nights, or 30% off for 5 or more nights at the Disney Aulani Resort on Oahu. For a limited time take up to 35% off your car rental from Avis or Budget when you book through Priceline.com. Must book by September 30th and rentals must be returned by November 15th. No coupon necessary. Express deals are up to 60% without having to bid, download the mobile app for exclusive rates only available there. Browse all of the car rental offers available from top brands, savings of up to 40%! Name your own price or choose a specific hotel and enjoy great savings on hotels in the Boston area. Big savings on vacation packages to all Walt Disney World Resorts in Orlando. Planning a trip to the Windy city? Hotels discounted at up to 60% off, no promo code required. Excellent savings on hotels, flights, car rentals, and vacation packages in exciting Las Vegas. Right now hotels in Los Angeles are discounted at up to 50% off. You will not find a cheaper price on any flight than the one listed at Priceline.com. Guaranteed. Priceline is partnered with American Airlines to bring you the best prices on regional and international flights. Name Your Price or choose a specific hotel in San Diego at prices that are up to 60% lower than the regular rate. The absolute best prices on last minute hotel bookings. No bidding required, browse by neighbourhood and amenities. Great deals on hotels in the Bay Area, discounts of up to 60%. Book through Priceline.com for the best rates on hotels in the Big Apple. Get the best prices on JetBlue flights when you book with Priceline. The most re-visited destination in the Carribbean, Aruba has something for everyone. Save on flights, hotels, and vacation packages with Priceline. See the New Pandora Attraction at Walt Disney World! Visit Walt Disney World in Florida to see the new Pandora: World of Avatar attraction opening in May 2017! No bidding or promo codes necessary! Savings on Universal Studios Orlando! Book a vacation package to Universal Orlando through Priceline.com and save! Great deals on British Airways! View the current offers on British Airways flights from Priceline. Priceline.com is a commercial website that help travelers to find discount rates for travel-related purchases. Their suite of products range from hotel daily deals, published-price hotel listings to airline and car bookings. Priceline.com do not sell directly to its clients but facilitates the transfer of these services from the suppliers to its customers. Priceline.com was founded in 1997 by Jay Walker with the help of entrepreneur Michael Loeb. Priceline is headquartered in Norwalk, USA and is owned by Bookings Holdings. 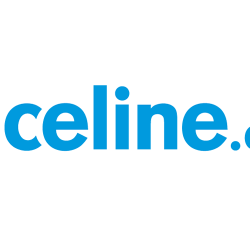 Priceline pioneered the online ticket sales market in 1998 with the launch of their travel-saving program, Name Your Own Price. Priceline’s initial popularity and success was brought by their Name Your Own Price system. With this system, travelers name their price for car rentals, airline tickets, vacation packages and hotel rooms. While they allow their customers to select a general location, price and service level, details are disclosed after the completion of the transaction with no possibility of cancellation. Priceline’s profit is calculated as the difference between the price charged by a service provider and the one suggested by a customer. Priceline later added another model known as Express Deals where travelers are presented with prices but are not given the name of the establishment. Travelers can still choose to name their price for the various services. Today, Priceline also sell discounted tours, cruises and award-winning mobile applications. Priceline has special coupon codes to provide travelers with discounts when they book hotels online through the Name Your Own Price’’ or Express Deals’’ system. You can receive the coupon codes by signing up for Priceline’s newsletter, and occasionally from promotions that are run on their website. The coupons are applied against your hotel booking cost after you have given your travel details. When you successfully enter a coupon code, a dollar value is deducted from your total hotel booking cost. To use a Priceline coupon, begin the process of booking a hotel through either of Priceline’s systems. When you reach the page where you are supposed to pay for your booking, scroll down to the Summary for Charges’’ section and then click on Apply Coupon’’ at the bottom of the right side. Type your coupon code in the box that will appear, then click Apply’’. If the coupon code is accepted, a new line labelled Priceline Hotel Coupon’’ will appear below Summary of Charges’’ indicating the amount that will be deducted from your booking price. Coupons are only used when booking hotels, as opposed to other services like car rentals or flights. Coupons can only be used once and travelers with multiple coupons can’t use more than one coupon on the same booking. Always check the bottom of Priceline’s homepage for the best deals. Being a major travel-booking site, Priceline has made it easy for customers to connect with them. You can connect with Priceline on different social media platforms as Priceline.com on Facebook and @Priceline on Instagram and Twitter. Customers can also start a live chat session at Priceline.com by going to Chat with Us’’ at the bottom corner of their help page. Priceline’s customer service team is available 24/7 to offer personal support to their customers. To contact a customer service representative, use Priceline’s toll free number; 1-877-477-5807. For international calls, they have other numbers on their International Calling page’’. Choose the telephone number with your country code. While making a purchase on Priceline.com is easy, their return policy has strict rules and regulations. Nevertheless, they still provide travelers with several refund options. You must be flying out of the country to qualify for a refund. Priceline’s cancellation policy applies even to the tickets with a No cancellation and no refunds’’ declaration. Call the customer care team. If your ticket has a disclosed flight time, call on the same day (before 11:30 of the booking day) for cancellation and get a refund. For a hotel room refund, call the customer service within a day of check-in. Visit “Check Your Request” page and click on “Ticket Changes and Cancellations” to see if your ticket allows a refund. If you booked your flight with travel insurance and unfortunately suffer from an injury, job loss or illness, you can request for a refund even from an airline with a policy to deny refunds. Priceline’s Stonebridge Casualty Insurance gives travelers peace of mind when it comes to cancelling flights. Call customer care regardless of your ticket’s refund policy. Even when it seems unlikely for you to get a refund, calling a customer representative with a valid reason for cancelling your travel plans might just get you a refund. Priceline.com is the ultimate site for travel-related bookings. It offers travelers great discounts on hotel rooms, flights and car rentals. Making a purchase on the website is easy and they offer coupons to reduce your booking costs. Priceline.com has a friendly customer care team who are available at all times to help you with any issue that you may encounter.